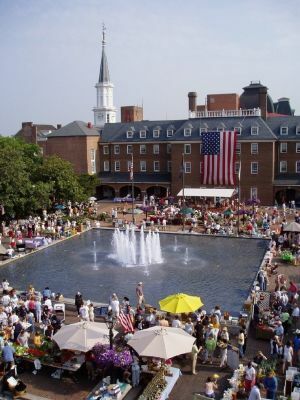 AFCA is City-wide in scope and non-partisan in nature. It seeks to provide a forum for the exchange of information and ideas among local neighborhood organizations and associations. 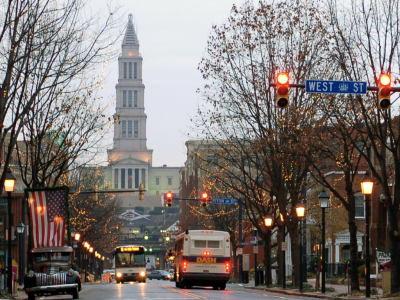 The Federation promotes full discussion of issues likely to affect residents of the City. Topics of particular interest to AFCA members include City procedures and policies; residential and commercial development proposals and plans; environmental concerns; transportation; education; open space; infrastructure; public safety; health services and housing. AFCA works to encourage a free, spirited and continuing dialogue among community leaders, elected officials, and appointed representatives. 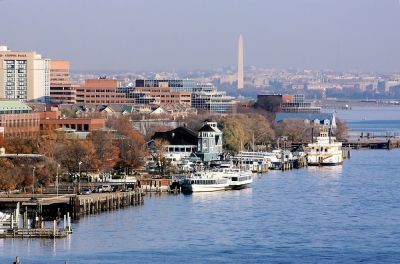 A founding principle of the Federation is that civil discourse involving strong neighborhood and homeowners’ associations and others throughout the City, will foster a better Alexandria for all. 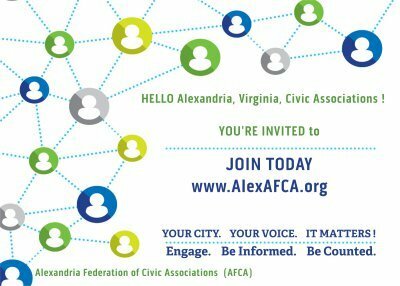 The Alexandria Federation of Civic Associations (AFCA) cordially invites your Alexandria, Virginia, Civic, Citizen, Community, Condominium, Homeowner or Tenant association to join our citywide organization. Brookville-Seminary Valley Civic Association, Inc. Periodically the Federation will post items our members deem important to share with the community at large, including meetings and, initiatives, concerns and observations. To view member news, go to the News & Resources page or simply click the button below. Alternatively, when you select a text box a settings menu will appear. Selecting ‘Edit Text’ from this menu will also allow you to edit the text within this text box. Periodically the Federation will post news items pertaining to the Mayor, City Council, Boards & Commissions, Departments & Agencies, including but not limited to, positions, votes, community outreach; and engagement opportunities. To view updates, as well as, contact information go to the News & Resources page or simply click the button below.